Mangosteen for a mouthwash? Yes, it is! 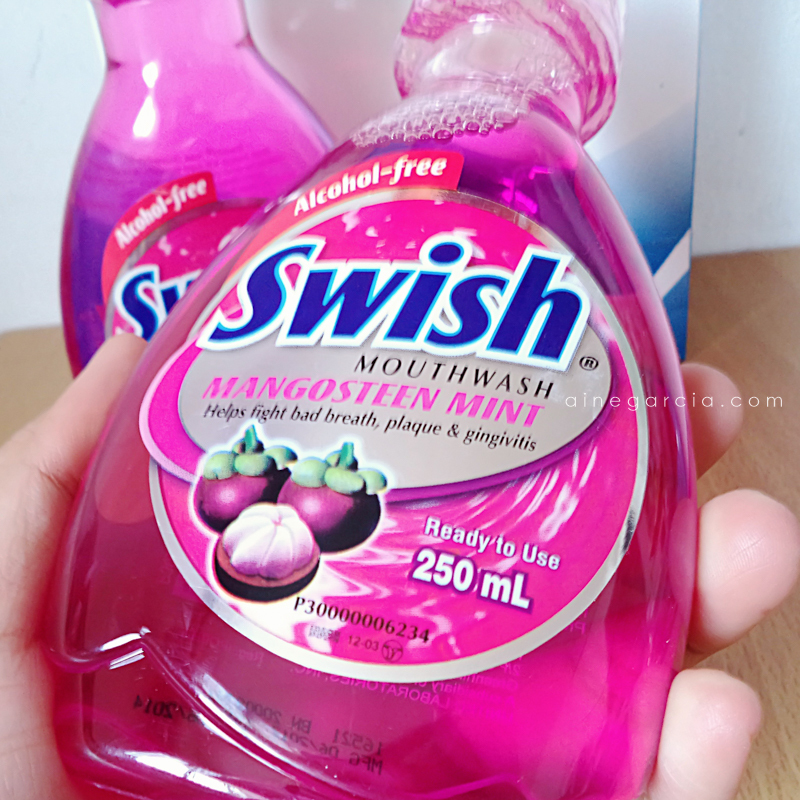 Although it's very unusual for a mouthwash to have a fruity type flavor, only Swish can give you a new kind of twist on flavored mouthwash. You will definitely enjoy keeping your oral hygiene at its best! Minty meets fruity in this sparkling blend of Mint and Mangosteen! The unique mint taste will give your mouth a refreshingly cool mint flavor. Swish Mangosteen Mint gives you a mild minty effect that is so gentle on your mouth, unlike any other mouthwash that is stingy and will give you a burning sensation afterward. Swish Mouthwash is the sure way to a long lasting fresh breath which is powered by SureFresh Technology. Swish doesn't just cover up bad breath because it kills bad bacteria, prevents plaque build-up, gum disease and tooth decay. And most important of all, Swish Mouthwash is alcohol-free which makes everyday use safe. Just gargle 20 mL of Swish Mouthwash twice a day for 30 seconds for best result. Swish Mouthwash is a product of United Laboratories Inc. and is available in supermarkets, drugstores and convenience stores nationwide. 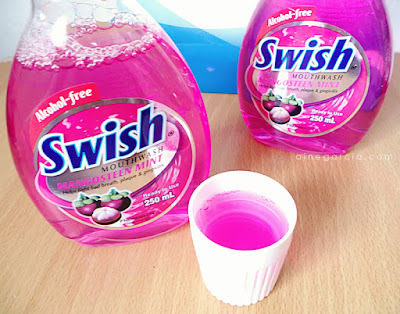 Aside from mouthwash, Swish is also available in Breath Spray. Swish Breath Spray – instant fresh breath in 10 seconds! 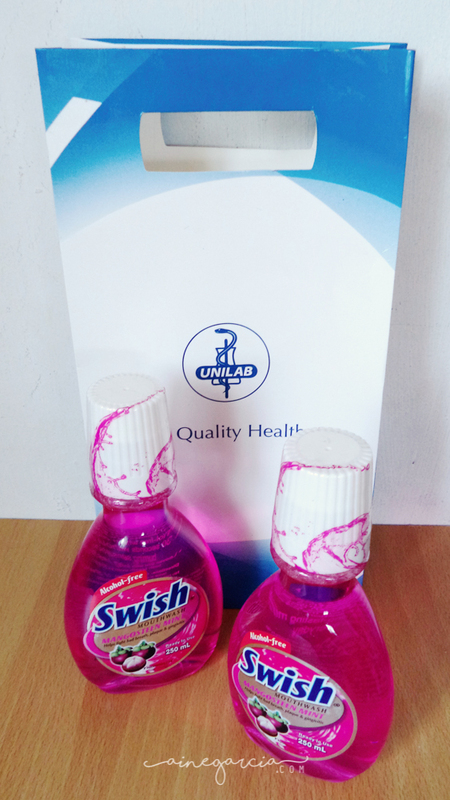 Swish has 2 formats namely: mouthwash and breath spray to keep your breath fresh anytime and anywhere. Powered by SureFresh Technology, Swish doesn't just cover up bad breath because it kills bad bacteria, prevents plaque and gingivitis for long-lasting fresh breath. With Swish, you're guaranteed of long-lasting fresh breath anytime, anywhere! Summer Mani / Pedi Inspiration from Julep + Polish Deal!